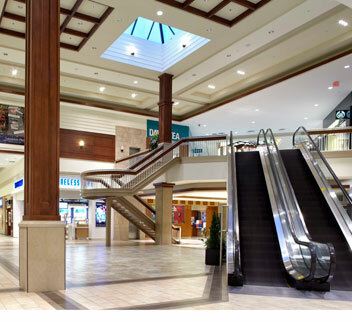 Lansdowne place is a 454,000 sq ft shopping centre located in Peterborough, Ontario. In 2012, Lansdowne Place was the first shopping centre in Canada to achieve the LEED CI Silver Commercial Interior certification. While the award is incredibly prestigious, the greatest source of pride is what went into the achievement and, ultimately, how it benefits shoppers, retailers and the community. From an irrigation system that makes real-time adjustments based on hourly weather information, to a food court organics composting program, Lansdowne Place leads the way in creating environmental and financial efficiencies. New skylights allow natural light throughout the common area and energy efficient lighting, controlled by a building automation system, also contributes to energy savings. Irrigation system that makes real-time adjustments based on hourly weather information and a resource saving washroom flush have reduced water consumption by 44%. Partnership with Habitat for Humanity which facilitates donated material being re-sold at the Habitat Re-Store. Roof replacement has resulted in increased R-values (measure of thermal resistance) from R7 to R27, thereby reducing heating and cooling costs. High efficiency hand dryers have eliminated paper waste. Waste diversion rates have increased from 39% to 60%.